Authorities have arrested 26 people in connection with the bombings. Nine men, all of whom the government said were employees in a factory owned by a suspected perpetrator killed in one of the hotel bombings, were remanded to jail by a judge. Police said they discovered 87 detonators, apparently abandoned, at a private bus stand in the capital. 2 more explosive devices were also discovered, one late Sunday near the airport, another on Monday in a van near the location where one of at least 8 blasts occurred on Sunday. 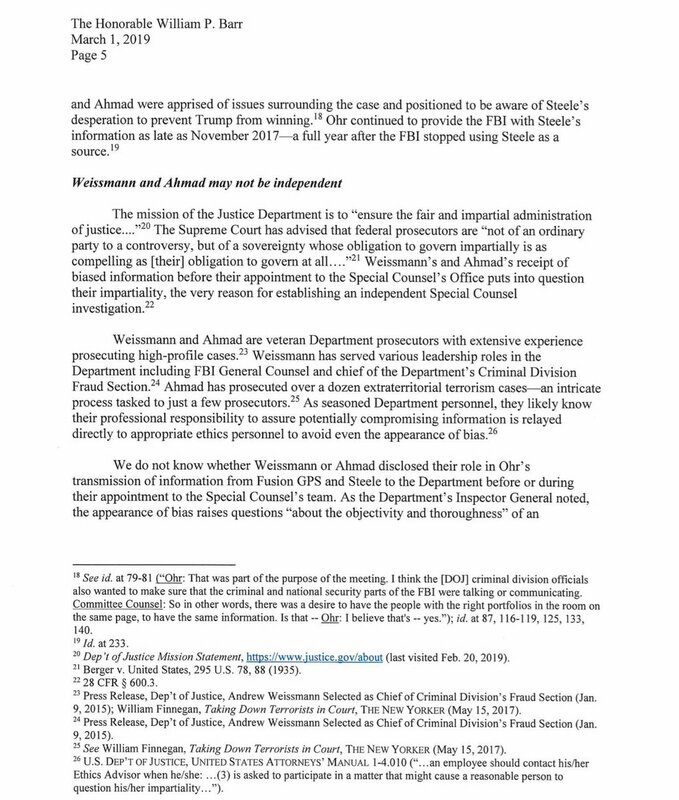 -We learned that the FBI and Justice targeted and took action against Trump. 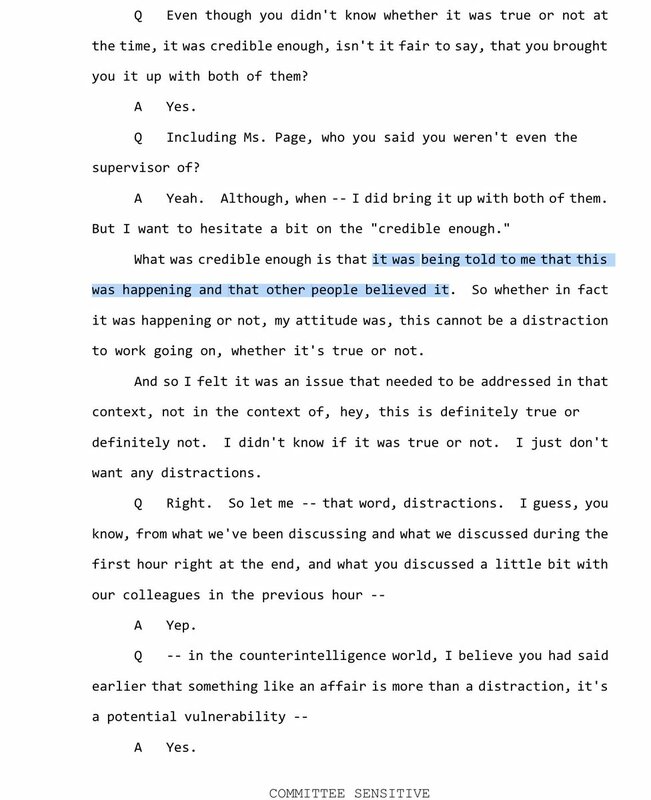 “My recollection is that he had part of the dossier, that we had other parts already, and that we got still other parts from other people, and that — and nevertheless some of the parts that David Corn gave us were parts that we did not have from another source,” said Baker. 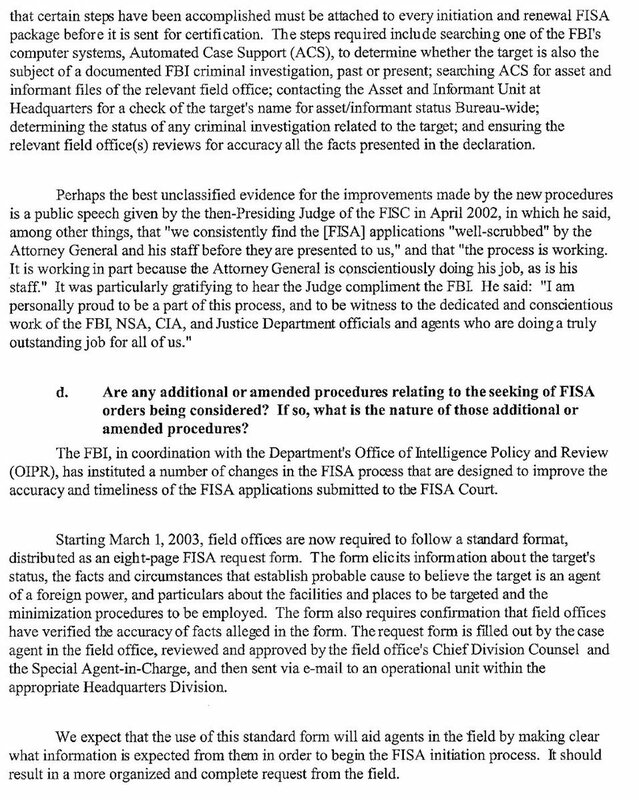 Someone from the Obama admin committed a felony by leaking the contents of Flynn’s intercepted communications to Ignatius on January 12, 2017. 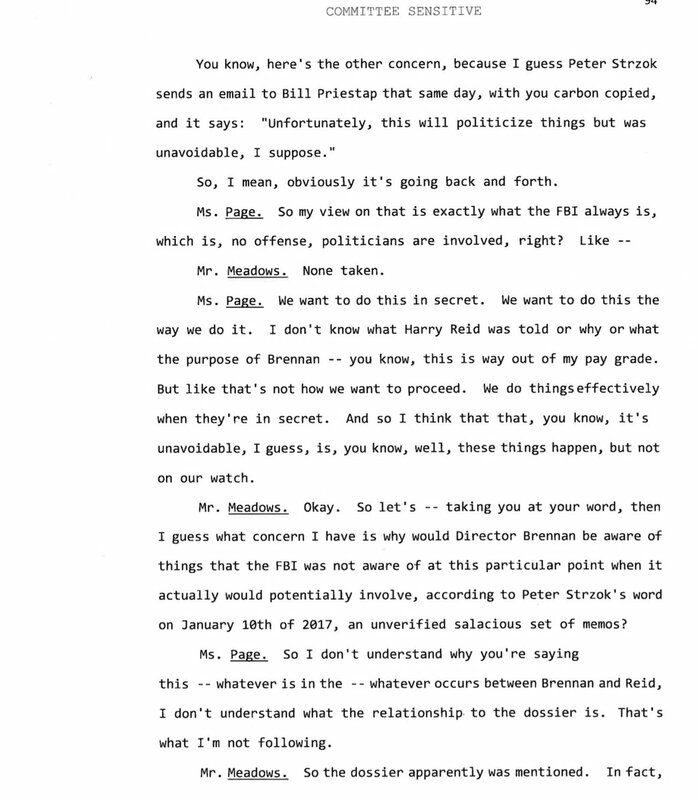 This kickstarted the "Logan Act" narrative which was pushed by Sally Yates to go after Flynn. Why haven’t they been brought to justice? 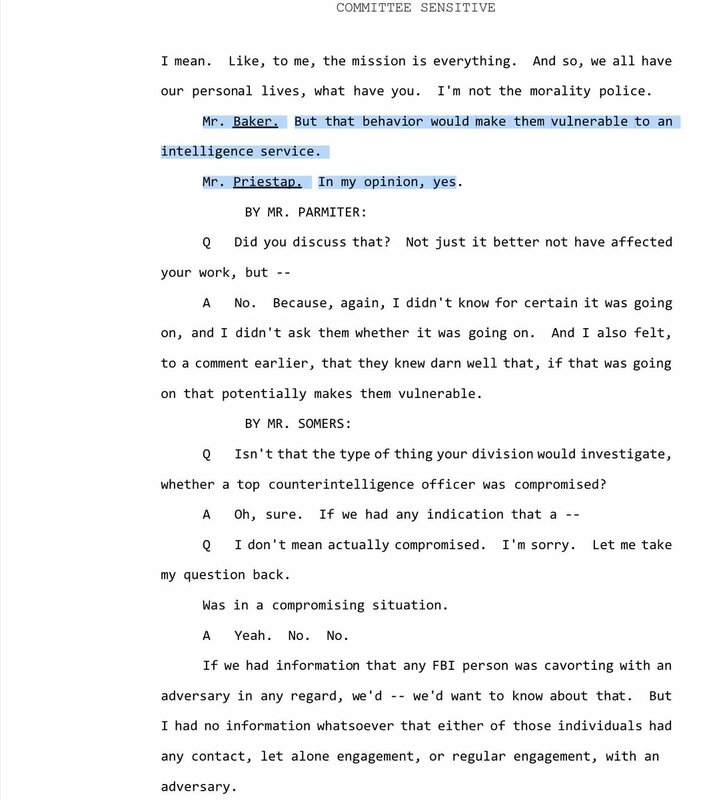 Then, in a Feb 9, 2017, Ignatius article we find out that the leaked conversations were corroborated by “9 current/former officials who were in senior positions at multiple agencies at the time of the calls.” Cowards spoke on condition of “anonymity” to discuss intel matters. 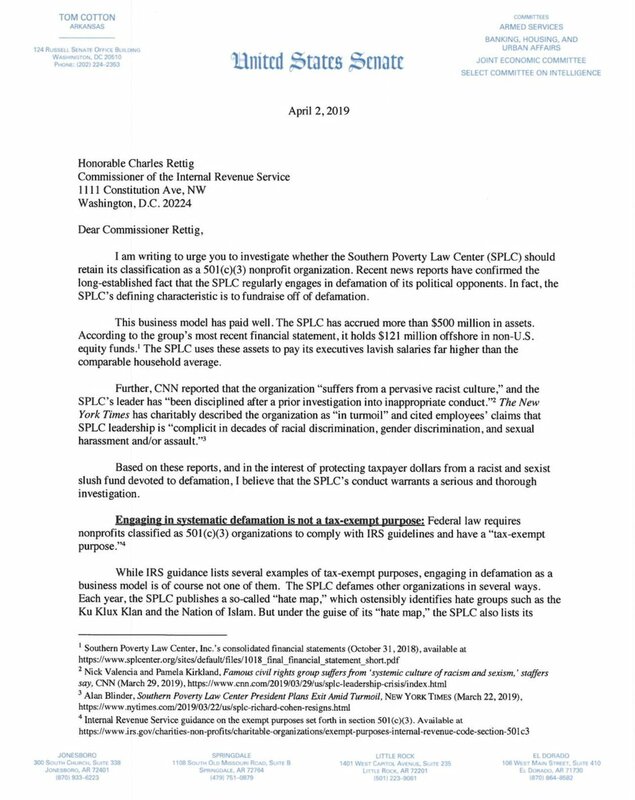 ICYMI: Sen. Cotton letter to IRS requesting an investigation into the tax-exempt status of #SPLC. 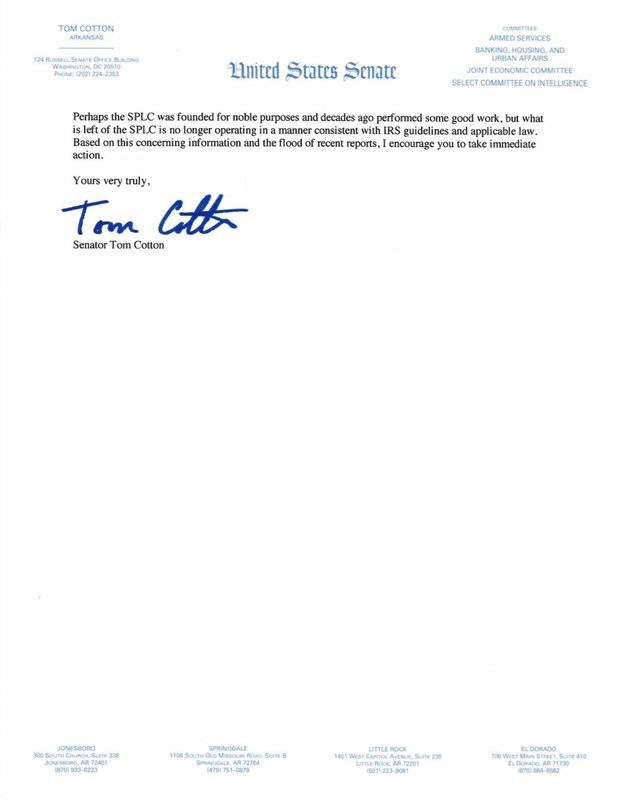 "SPLC’s defining characteristic is to fundraise off of defamation...which has paid well. 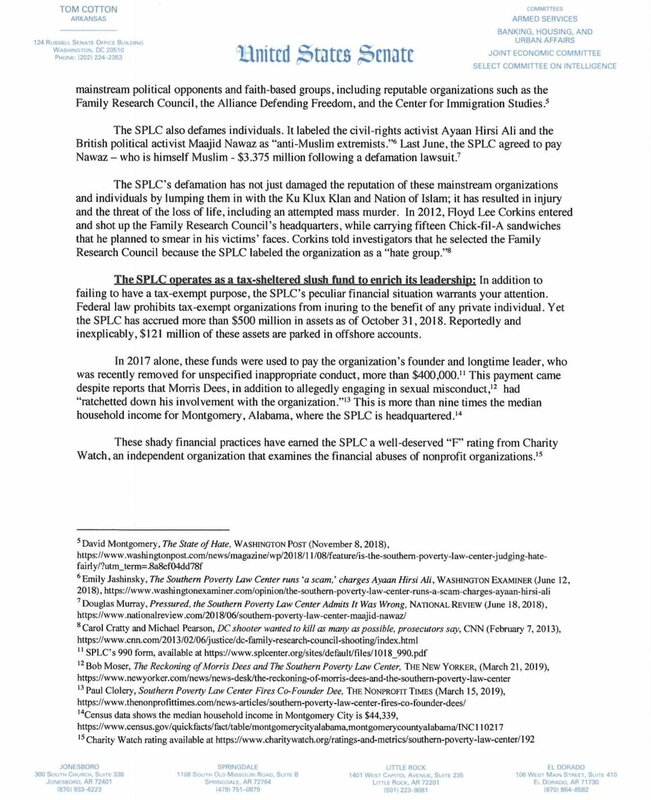 SPLC has accrued more than $500M in assets & holds $121M offshore in non-US equity funds." 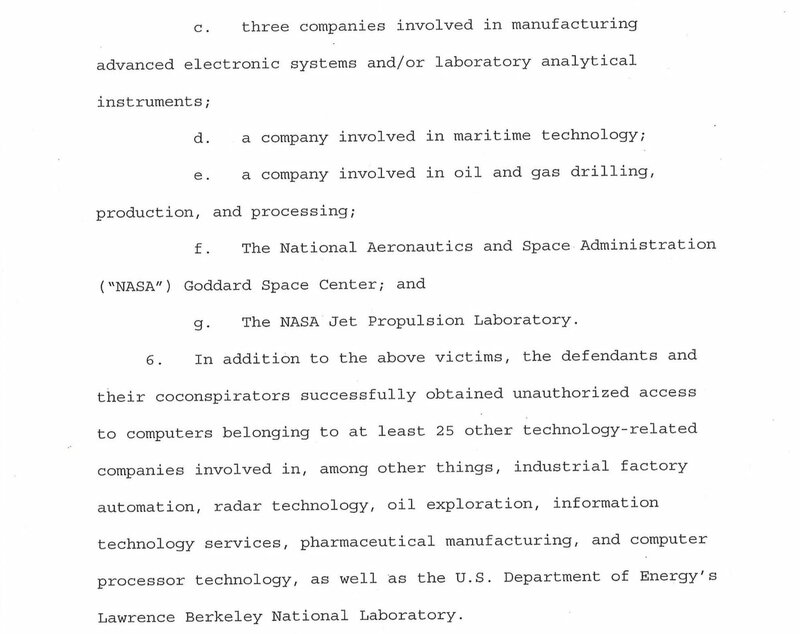 Back and forth here is full of contradictions. 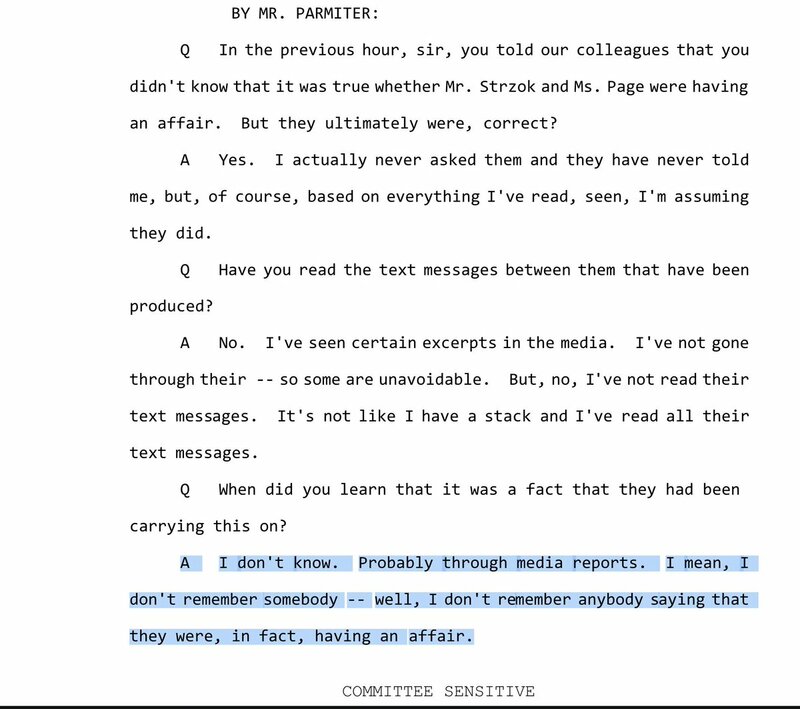 Preistap says he heard about Page and Strzok's affair in "media reports" & "doesn't remember anybody saying that they were, in fact, having an affair." 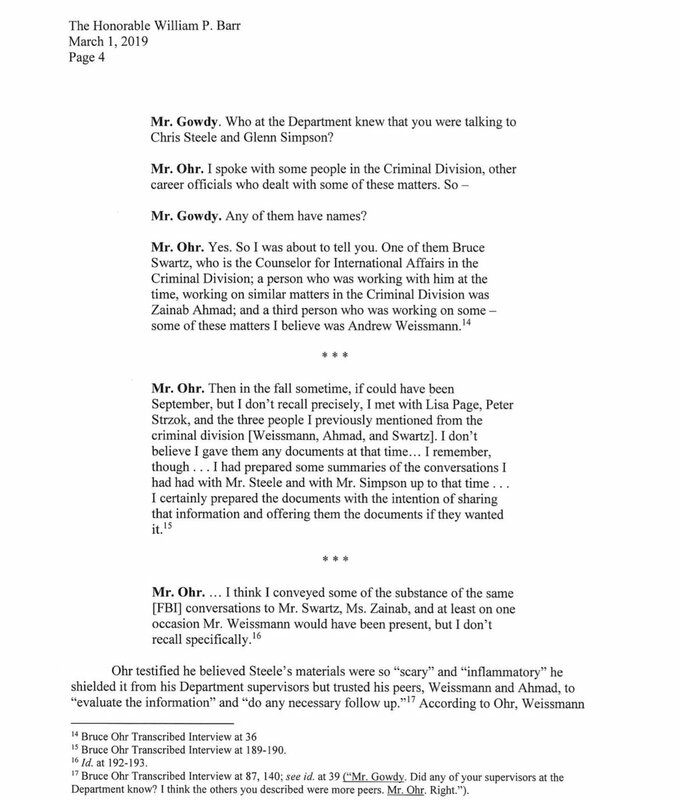 Yet then says, "it was being told to me that this was happening..."
When asked if he felt compelled to report the affair to OPR, Preistap's response is, "no. 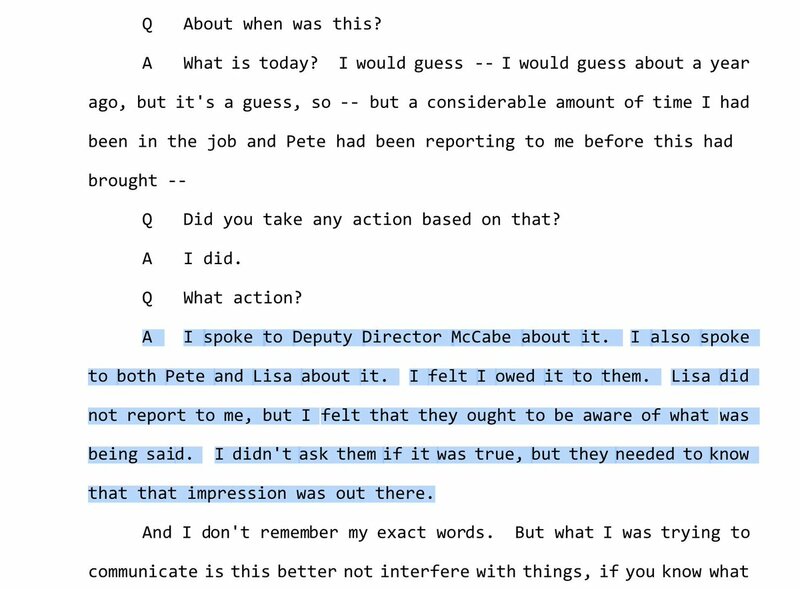 I felt compelled to report it to Lisa Page or the person she was reporting to, which was Deputy Director McCabe." 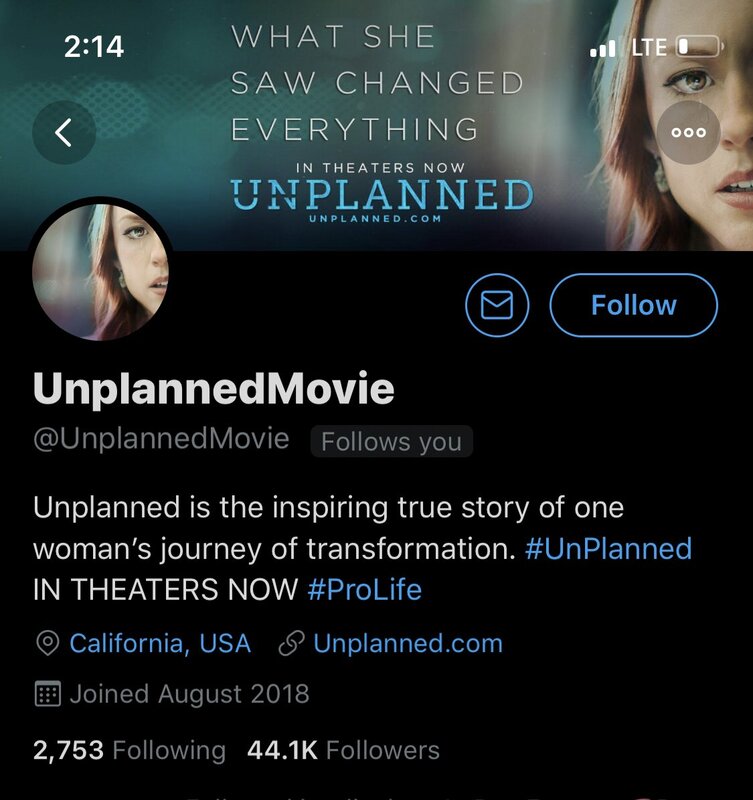 2 hours later not much has changed and as of my tweet, the @UnplannedMovie account was down to 43K followers then shot back up to 166K, in a single minute. So from 134k to 43K to 166K? What is going on @jack @Twitter?! 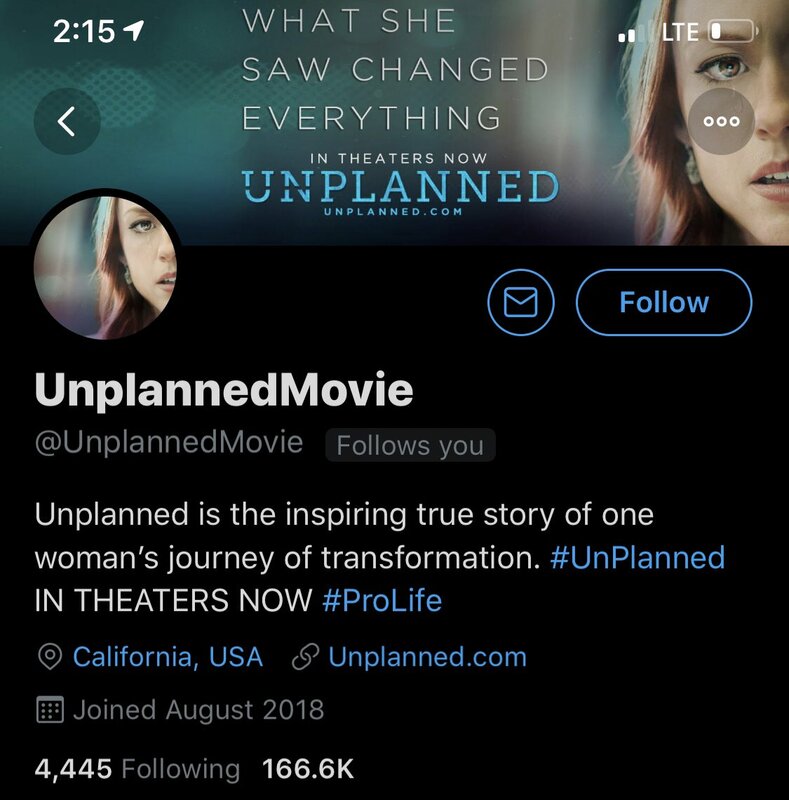 Over a one minute span...they’re messing with @UnplannedMovie’s follower AND following count. 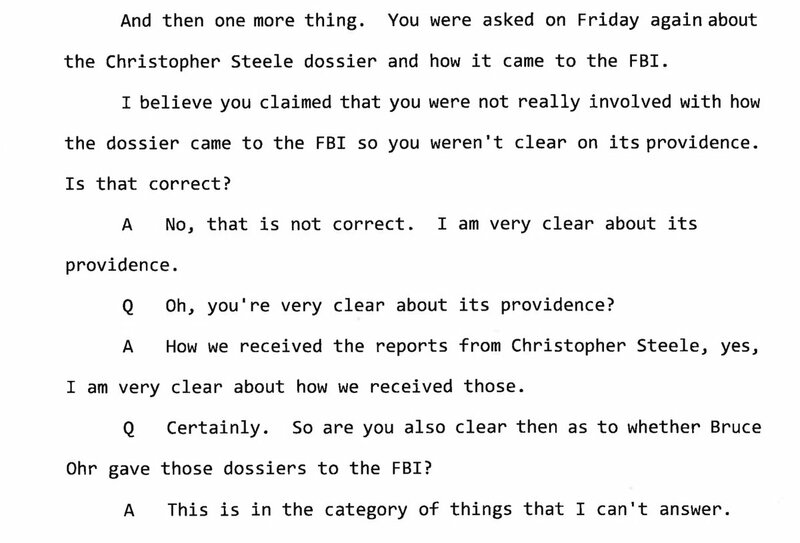 Steele is a foreign national. So are many of the Russian sources he claims he had contacted to solicit dirt on Trump & his camp. 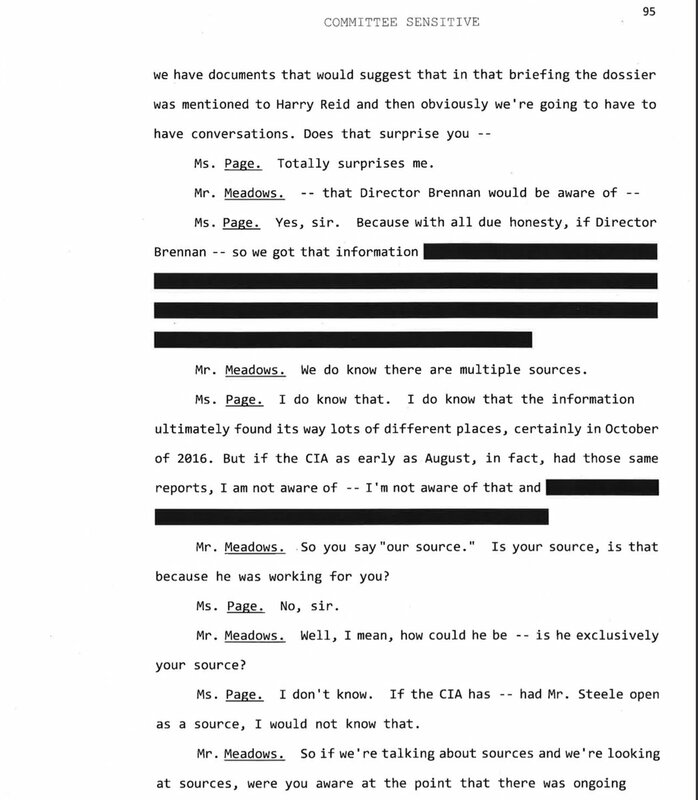 CIA, soon w/FBI, was used in circuitous fashion to facilitate surveillance of Trump’s camp through the use of foreign natls during the 2016 campaign. Twitter knew the defamation was (& is) happening. Twitter let it happen because Twitter had (& has) a political agenda & motive as it allows its platform to serve as a portal of defamation in order to undermine public confidence in Nunes & Republicans while benefiting opponents. 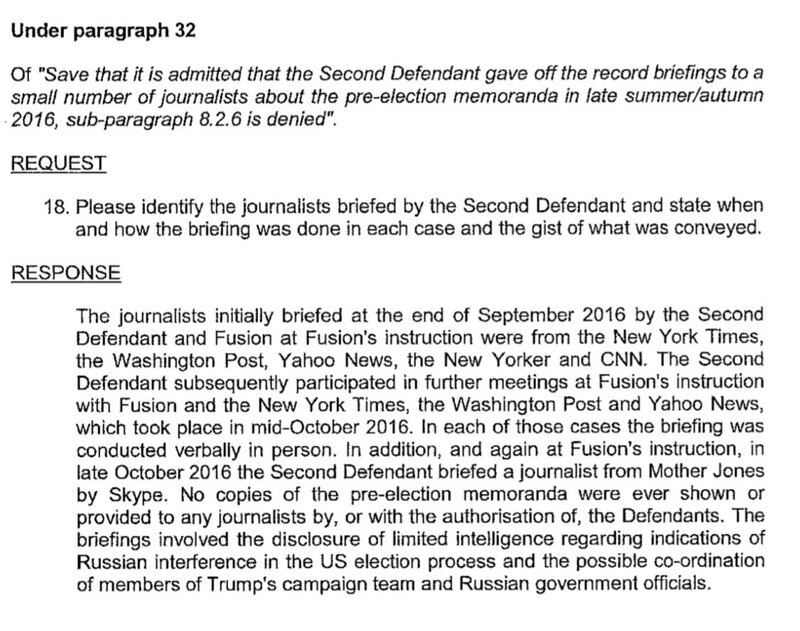 CNN reported during Michael Cohen’s House Intelligence testimony that the former Trump fixer provided documents showing Trump’s lawyers edited congressional testimony in which Cohen admitted lying. Not true. 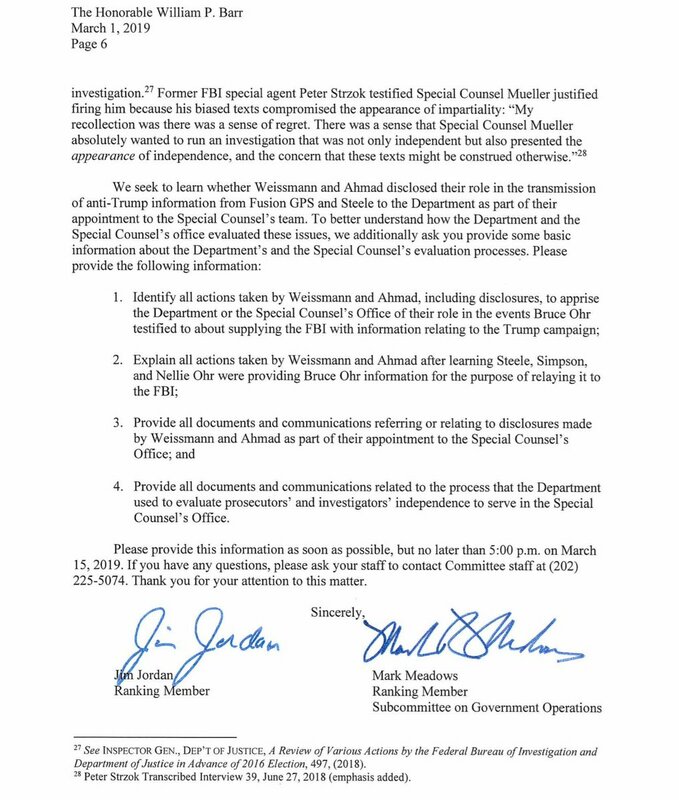 Where is the investigation into Schiff? 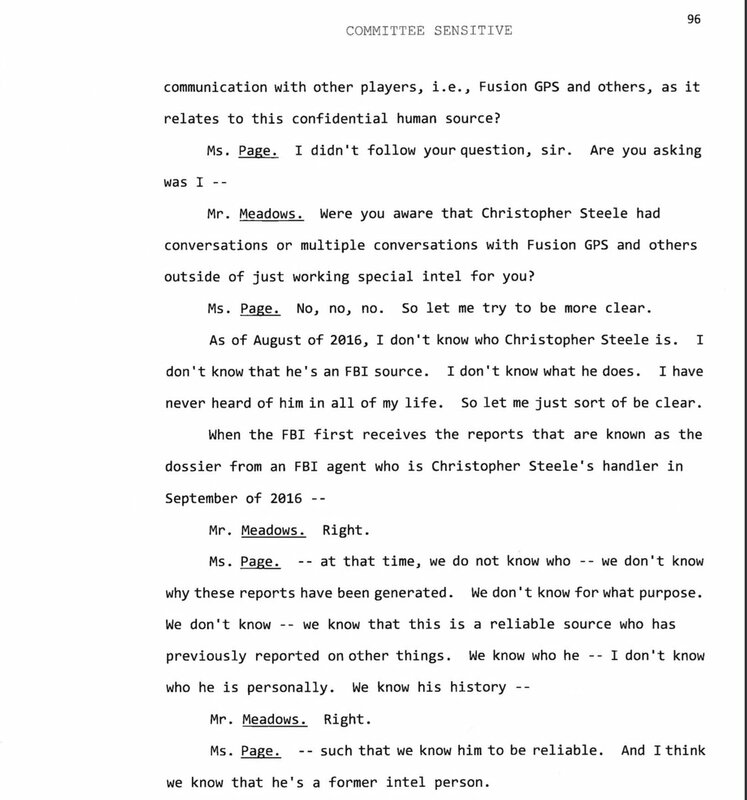 Whenever he goes on CNN, there's a good chance he probably leaked something earlier in the day to one of their "reporters". 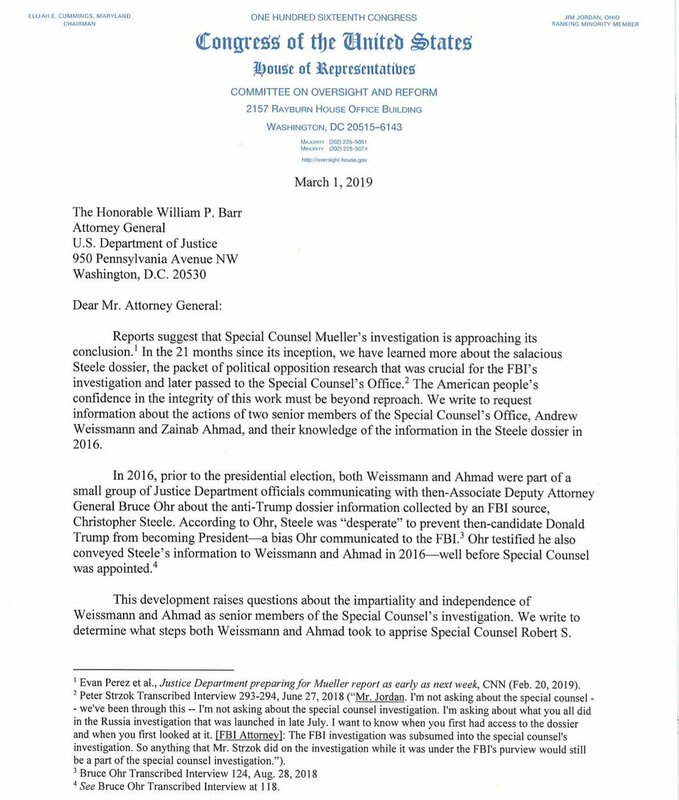 ICYMI: @Jim_Jordan & @RepMarkMeadows letter to AG Barr requesting info about the actions of 2 senior members of the Special Counsel's Office, Andrew Weissmann and Zainab Ahmad, & their knowledge of the info in the Steele dossier in 2016. 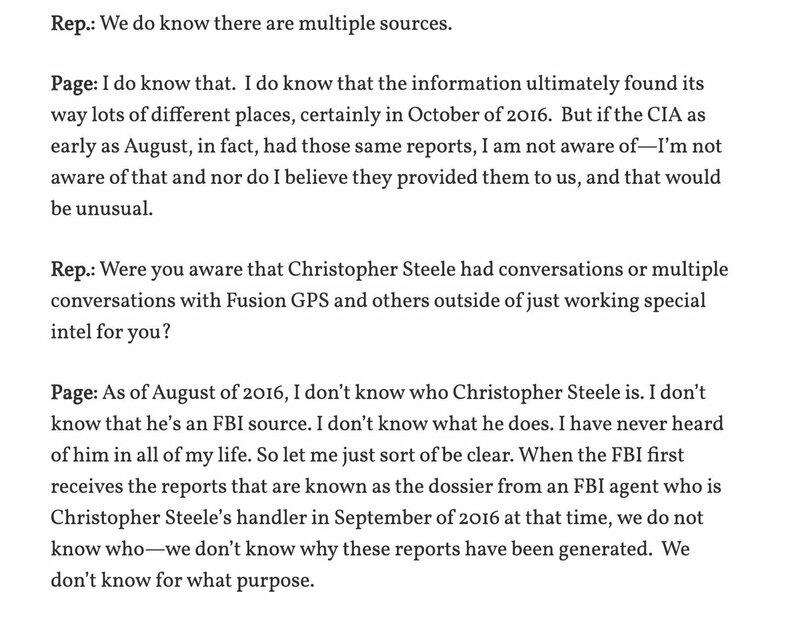 One of the many key questions: Did Weissmann and Ahmad disclose their role in the transmission of the anti-Trump info from Fusion GPS and Steele to the DOJ as part of their appointment to the Special Counsels Team? 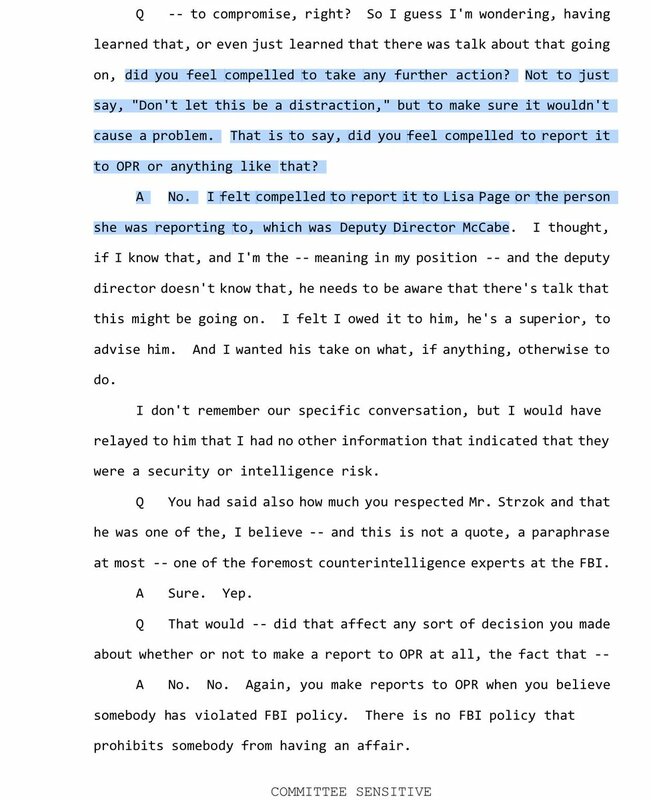 A president cannot “obstruct” a counterintel investigation as he might a criminal investigation. 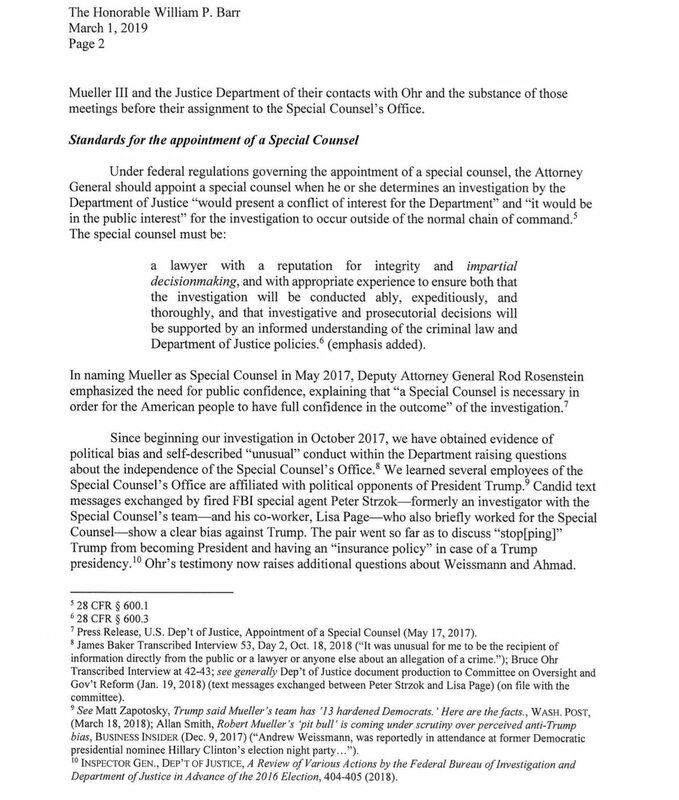 A counterintel investigation is done for the president. 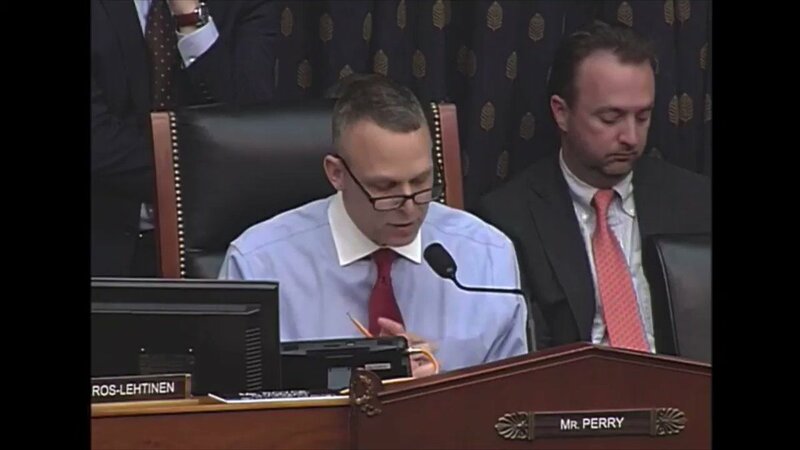 It is an intelligence gathering exercise in support of his natl security duty to safeguard Americans against foreign threats. 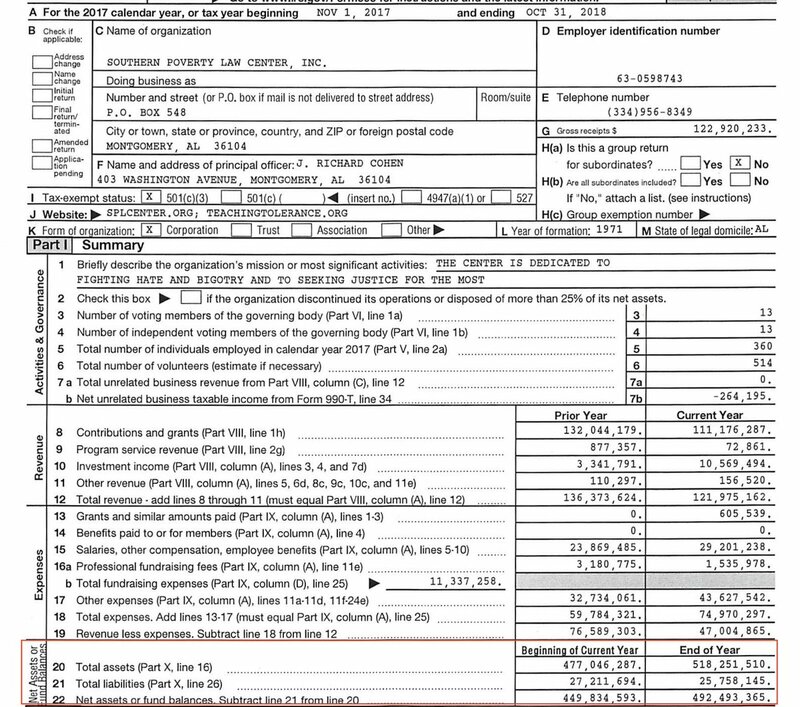 Why did Chairman Schiff go to such great lengths, including supporting Chuck Schumer’s former staffer who was representing Mr. Simpson – even going to court – to keep secret who was behind paying for the political attack piece on then candidate Trump? 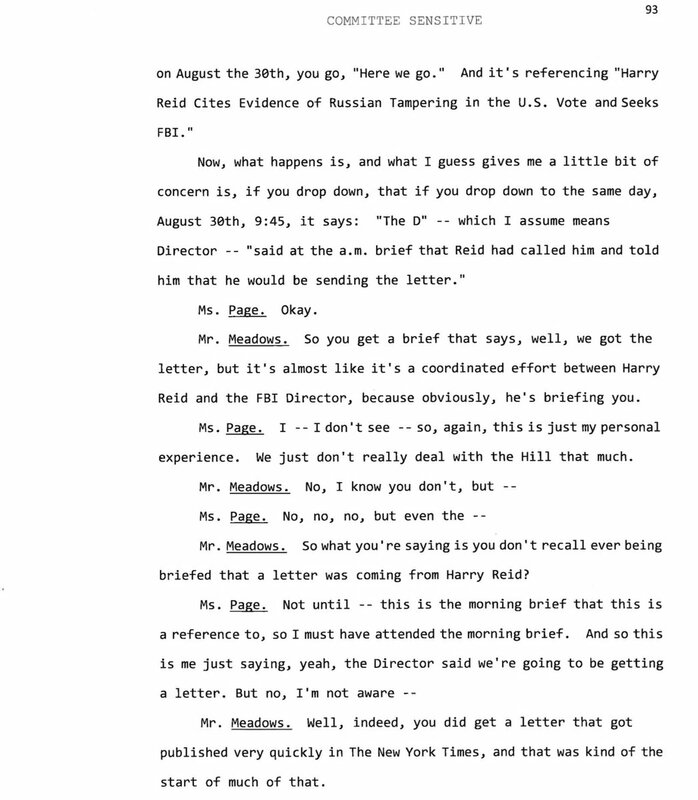 Why did Schiff seek investigatory guidance and suggestions from Simpson during his testimony before the House? 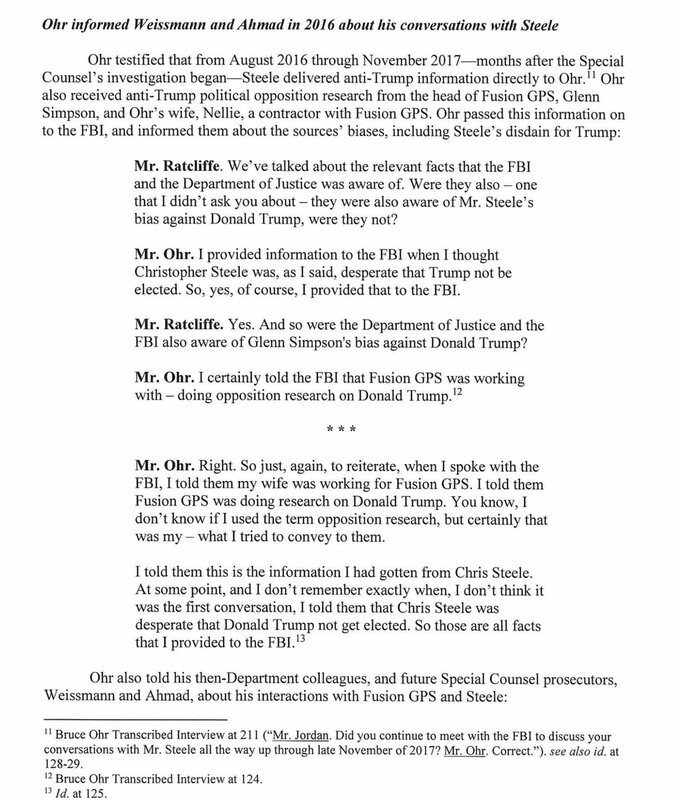 From March 2017 hearing, @RepScottPerry highlights the real #RussianCollusion story, look at what Clinton/Obama did with Skolkovo. 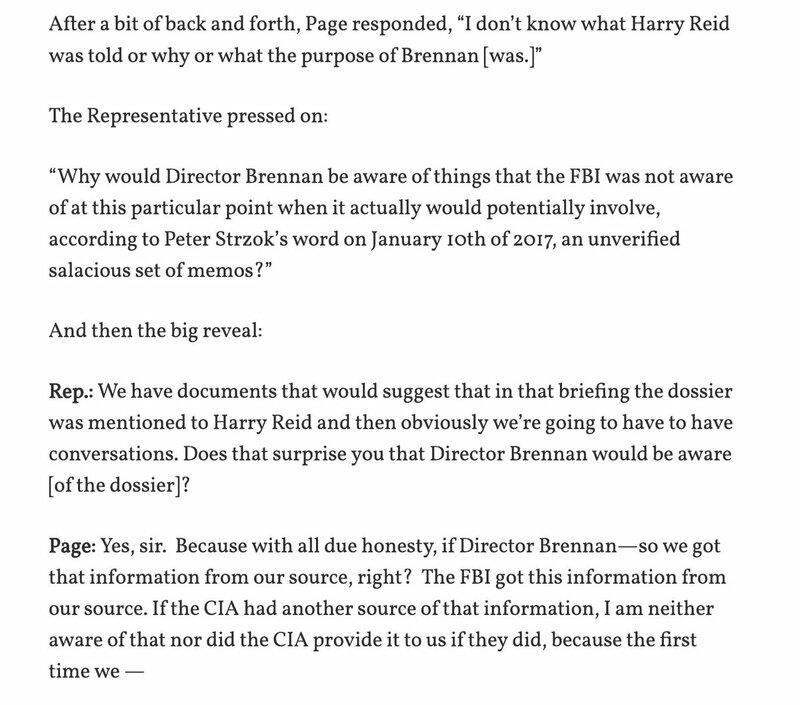 Has Harry Reid ever been questioned about this? The project’s operators created a Facebook page on which they posed as conservative Alabamians, using it to try to divide Republicans and even to endorse a write-in candidate to draw votes from Moore. It involved a scheme to link Moore camp to thousands of Russian accounts that suddenly began following him on Twitter. 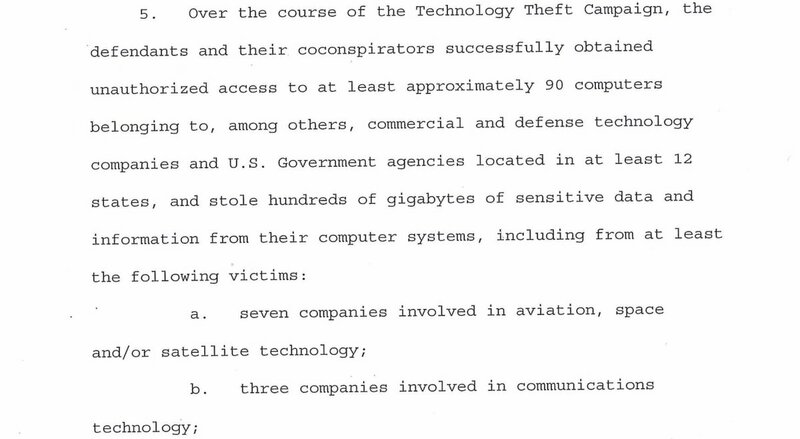 “We orchestrated an elaborate ‘false flag’ operation that planted the idea that the Moore camp was amplified on social media by a Russian botnet,” report says. 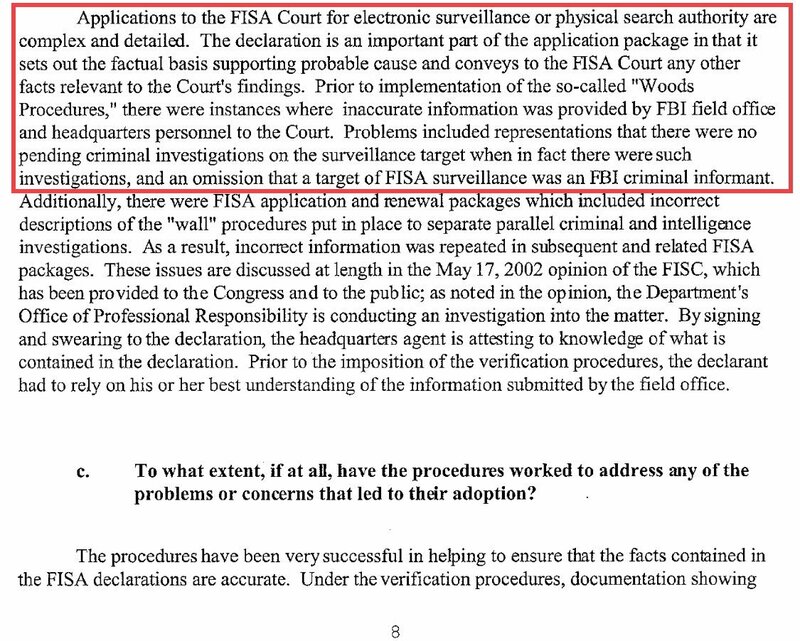 How did the FBI not violate Woods Procedures by presenting unverified material to FISA court?? 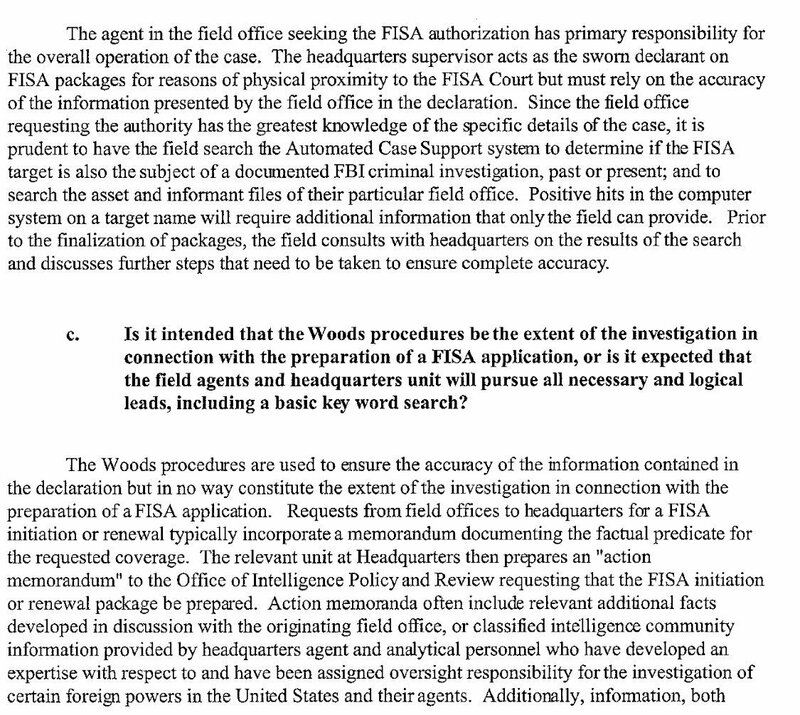 Woods Procedures were instituted in 01' to minimize factual inaccuracies in FISA packages, specifically w/regard to facts supporting probable cause, existence of related investigations involving subject of FISA & nature of any prior/ongoing asset relationship b/t subject & FBI. Iran has conducted numerous ballistic missile launches since 2016 & continues to prioritize missile development as a tool of revolution. Jan. 2017, Iran launched a medium-range missile that can carry a payload of more than 500 kilograms & could be used to carry nuclear warheads. Jan 2017 missile had a suspected range of over 1,200 miles, which is far enough to target some European capitals. Iran has the largest ballistic missile force in the region, with more than 10 ballistic missile systems either in its inventory or under development.